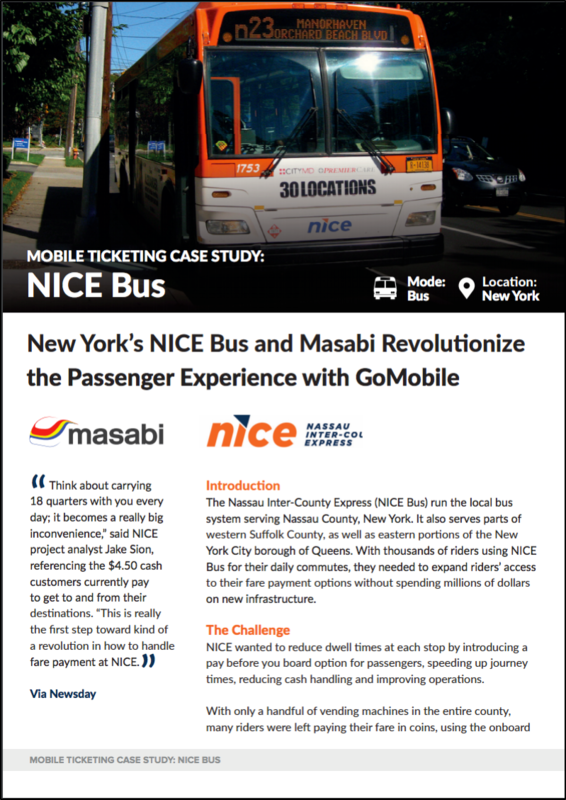 The Nassau Inter-County Express (NICE Bus) run the local bus system serving Nassau County, New York. NICE wanted to reduce dwell times at each stop by introducing a pay before you board option for riders. Improve operations and ticketing capacity. Delight customers with route planning services.